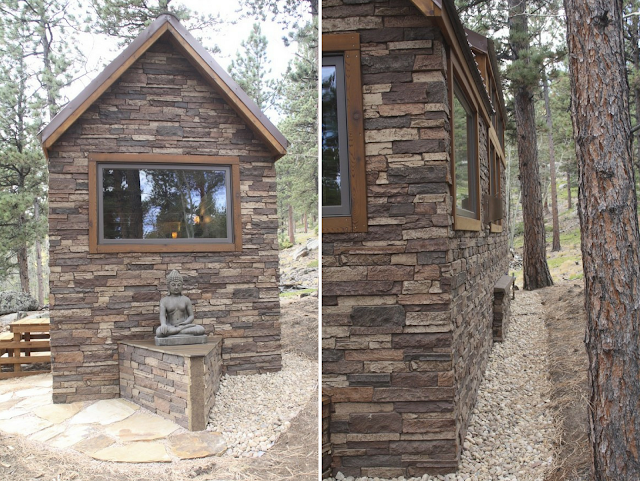 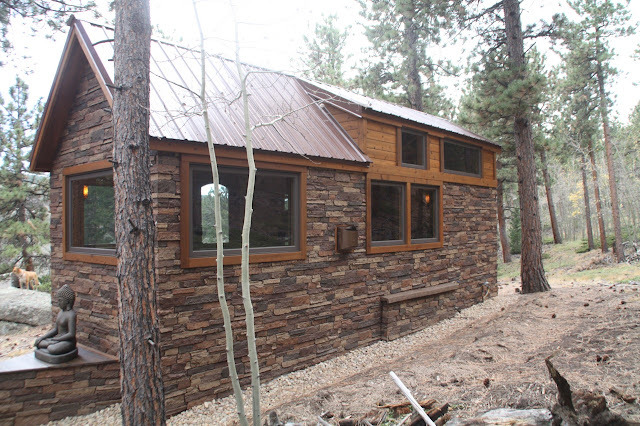 If you can believe it, this beautiful stone cottage measures just about 204 sq ft and is perfectly mobile! 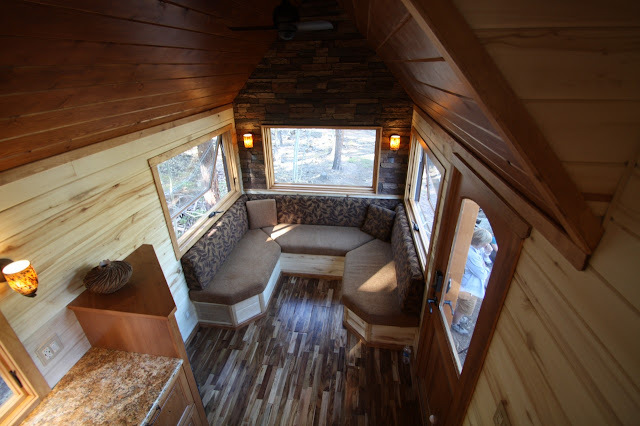 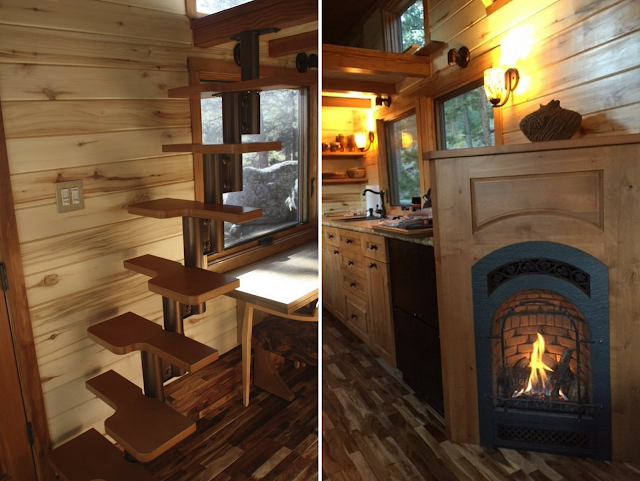 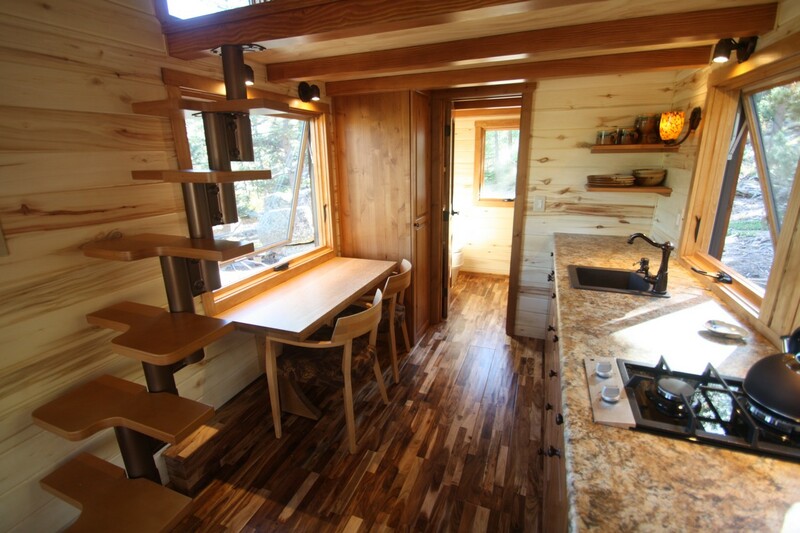 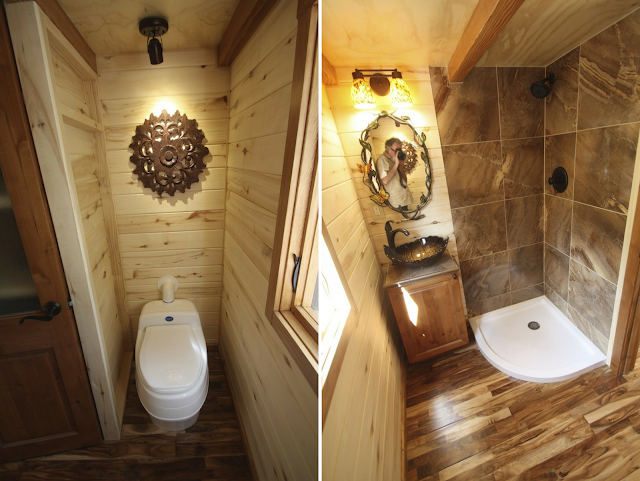 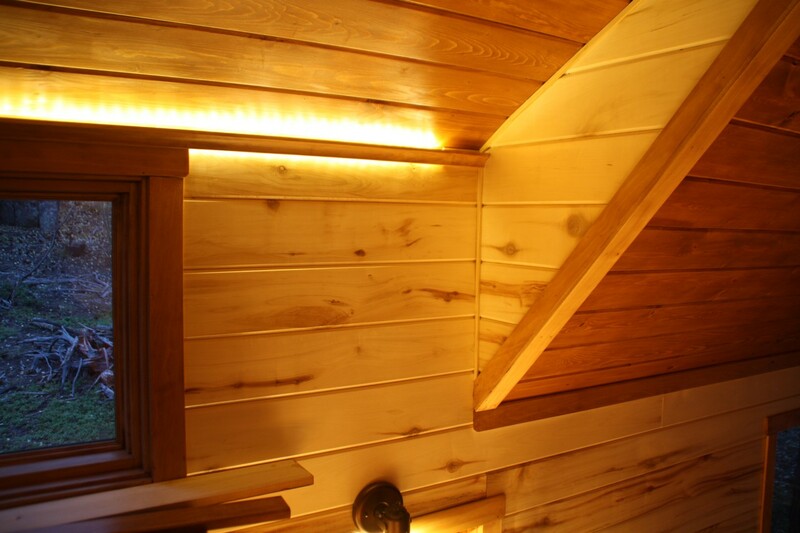 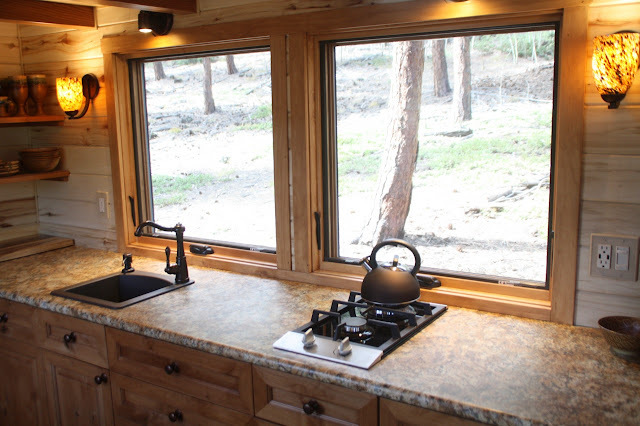 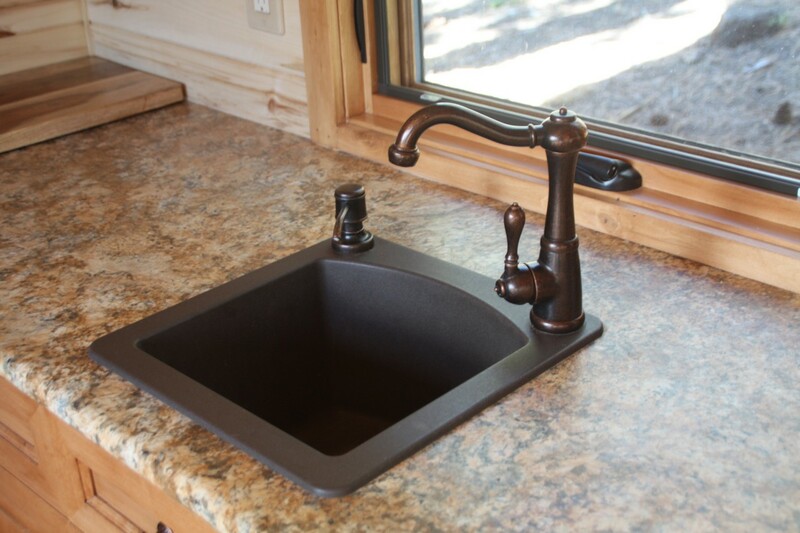 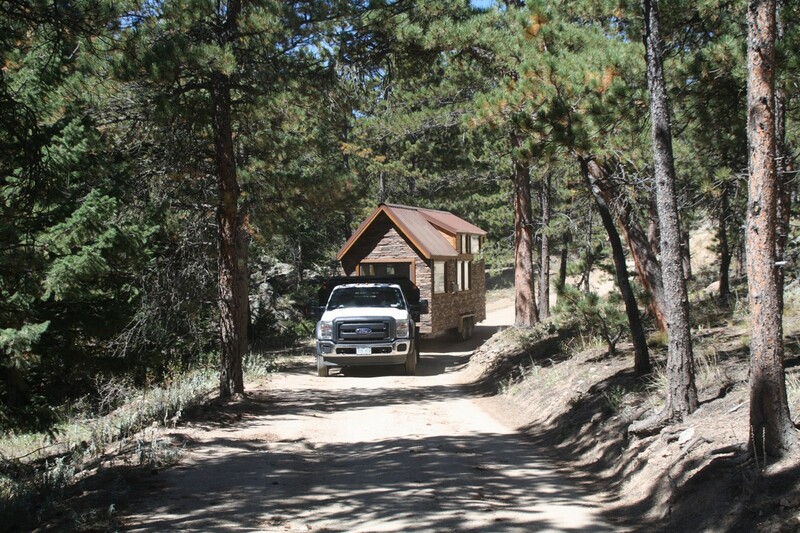 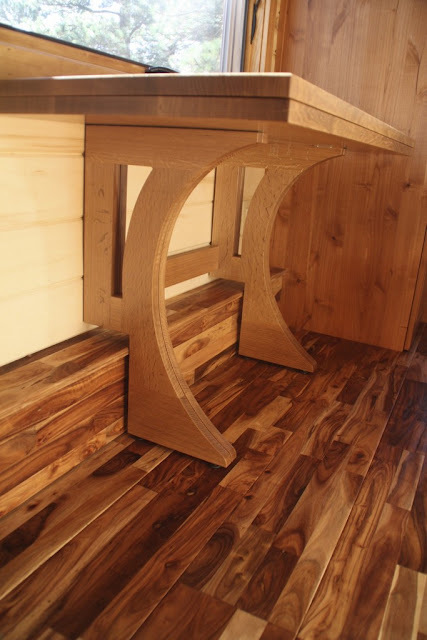 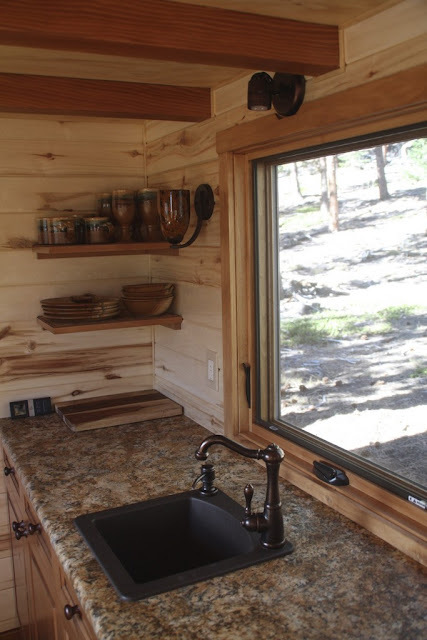 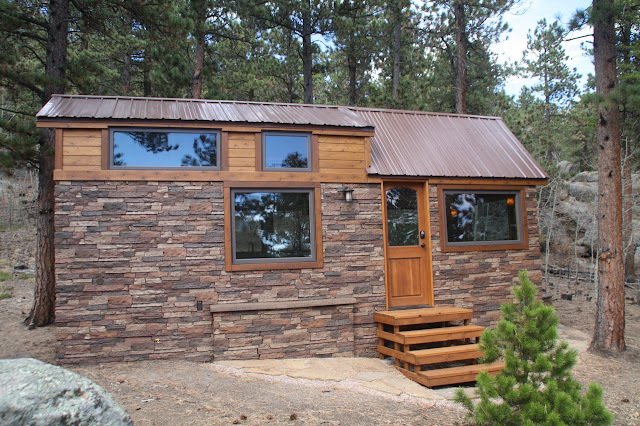 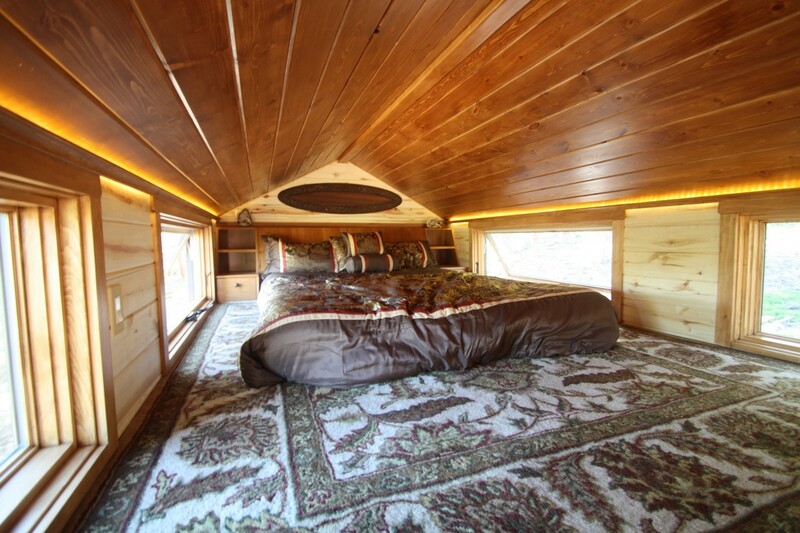 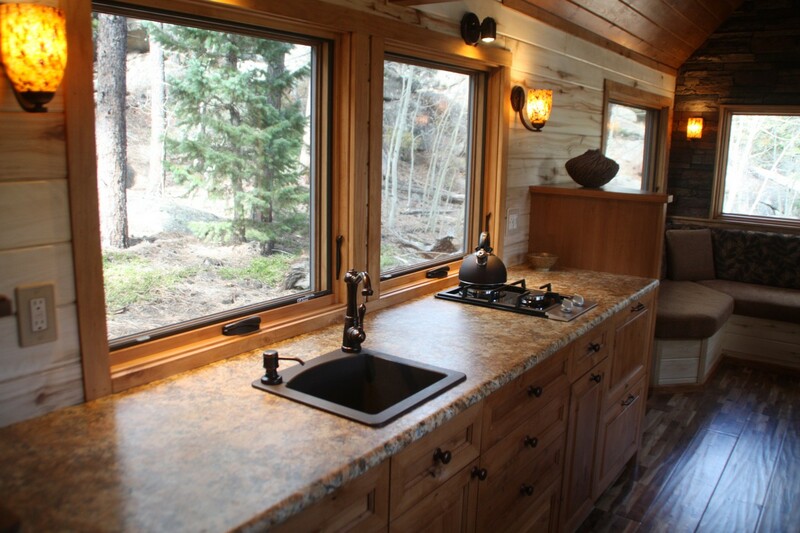 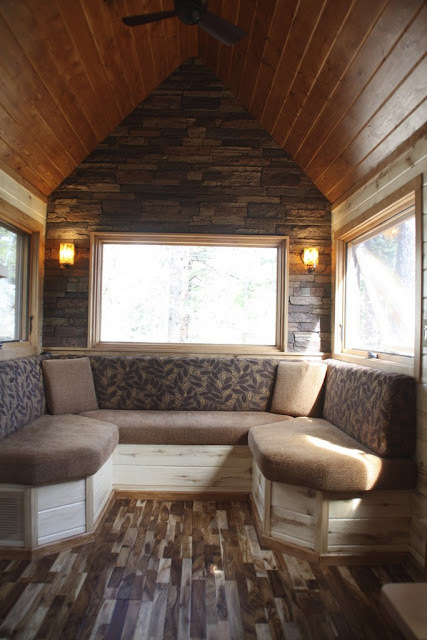 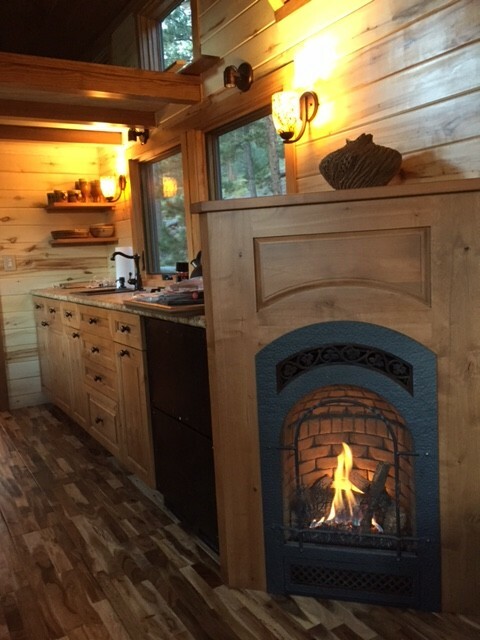 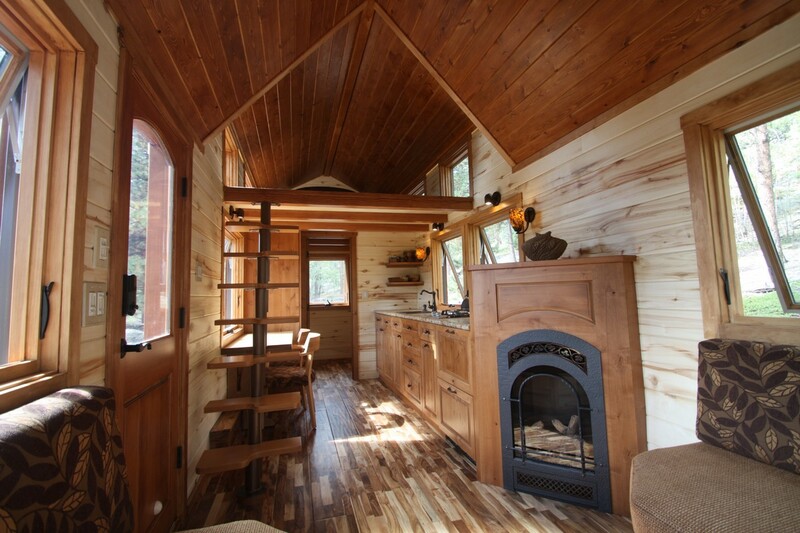 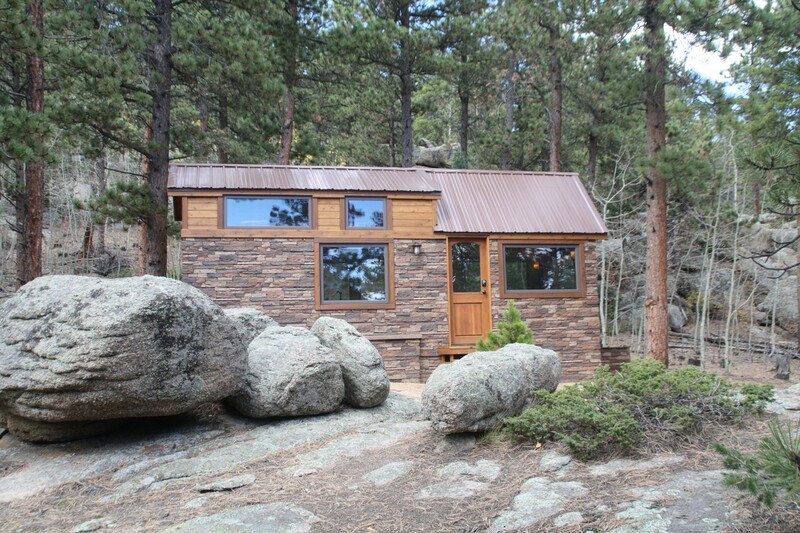 The home is designed and built by SimBLISSity Tiny Homes, a tiny house company based in Lyons, Colorado. The home is made with a wooden and faux-stone exterior that gives the home a unique, rustic look. 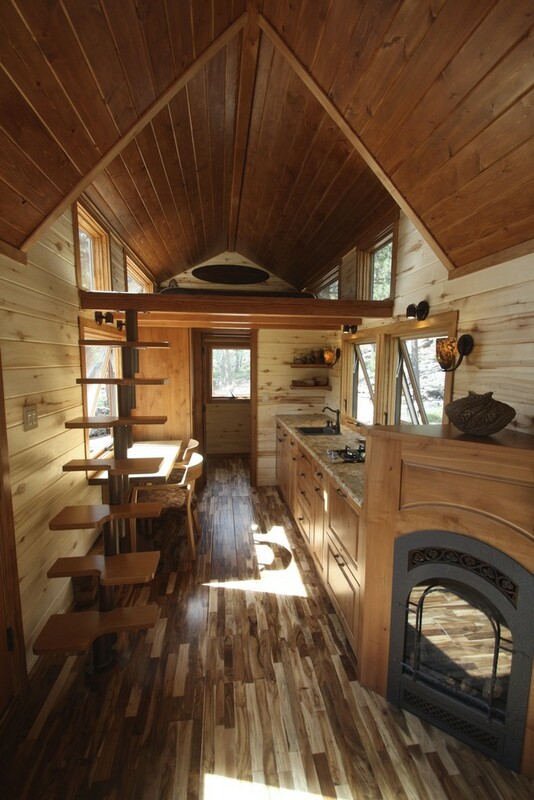 Inside the home, you'll find a U-shaped sofa, a kitchen, bathroom, loft bedroom, and a fireplace. 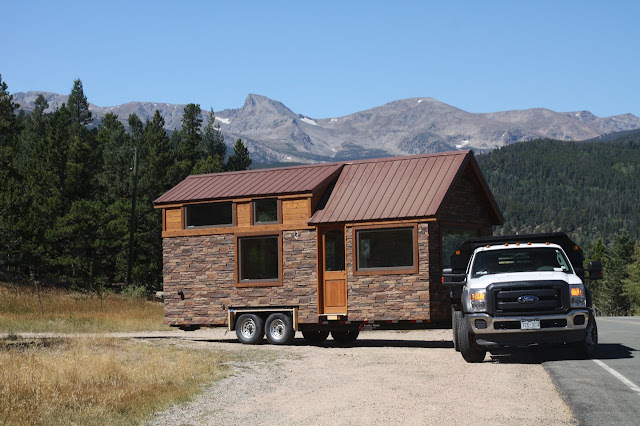 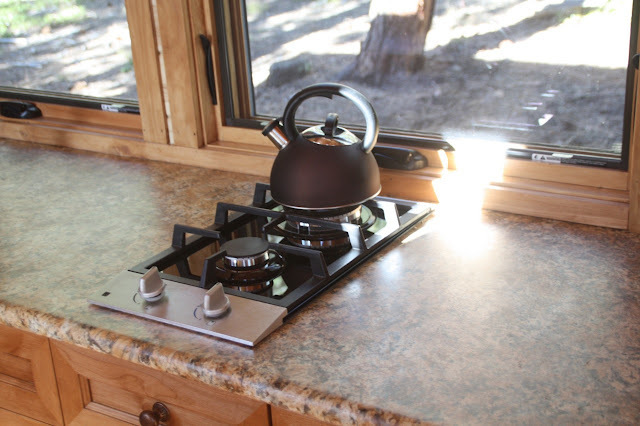 The home was also featured on HGTV's Tiny House Hunters earlier this year.